As we’ve said before, working here at Easy Treezy makes us feel like experts when it comes to Christmas, especially when it comes to Christmas trees. We’ve done so much research, engaged in so many debates and done so much product testing, it all comes a bit naturally these days. So imagine my surprise when my own toddler stumped me about the history of Christmas trees! Last week, while he was sufficiently entertained, I put up our Easy Treezy Artificial Christmas Tree. It took about 10 minutes to pull the storage box from under my bed, re-arrange furniture, set it up, re-arrange things again and clean up. I can’t complain about that! My toddler, who didn’t even have time to make a real mess in the playroom, then noticed the tree and started asking questions. Some toddlers ask ‘easy’ questions, like why is the sky blue? Mine asks why it’s blue, what is blue, why are the oceans blue, what light is made of and on and on and on … I got to the point where I was out of answers. So I did some research and found some interesting facts and btw, there is no easy, toddler-satisfying answer. 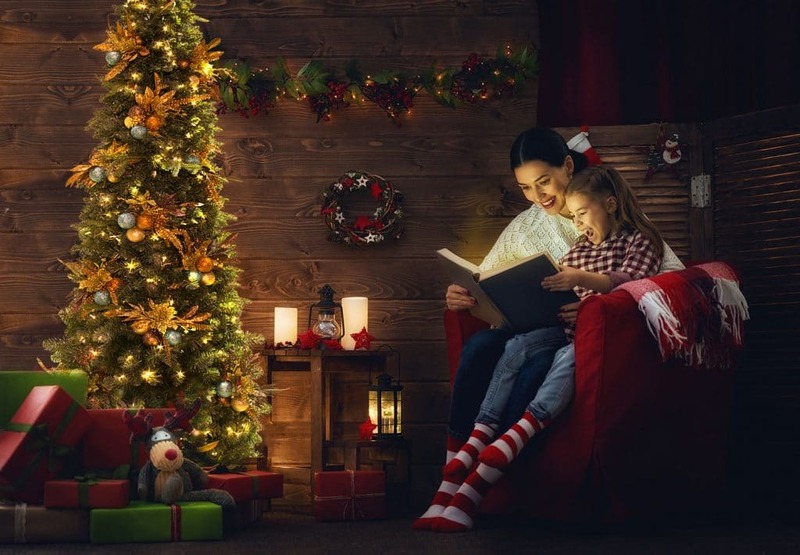 What we think of as the Christmas Tree originally started as just branches of evergreens placed in homes and religious areas in a variety of cultures. The Pagans used anything still green at the winter solstice to ward off evil spirits. (Quick language lesson, the word pagan is defined as a ‘beliefs other than those of the main world religions.’) The Egyptians celebrated the solstice by bringing green palm rushes inside as a symbol of life conquering over death. The Romans decorated homes and temples with evergreen branches during the Saturnalia, their version of a winter solstice celebration. It’s in 16th century Germany that we see full trees make their way into homes. Adding decorations came soon thereafter, as Martin Luther (not King, Jr, think the Protestant Reformation) added candles to the tree to simulate the stars of the heavens. Christianity added other decorations like round, shiny ornaments, probably originating in the Biblical tree from the Garden of Eden and its tempting red apples. Also, the angel or star that is placed at the top of most trees originally symbolized the angel Gabriel or the Star of Bethlehem. In fact, the German population in Pennsylvania was credited with bringing the practice to America. Even though pagan festivities were at odds with the Puritanical roots of many of the colonies, and even considered illegal at one point, the practice still became mainstream. As America became more of a melting pot, Irish and German populations grew, reinforcing the concept of a Christmas tree. Queen Victoria in England also helped popularize the tree here in America, as her own tree set a fashionable standard that swept the East Coast. So that brings us to today. Why do we put up a tree for the celebration of Christmas? Needless to say, the above history lesson was lost on my toddler, so I broke it down like this: We put up our Christmas tree to help us remember all the happy times around a tree in the past, to help us remember our religious beliefs and to let us know that, even though it may be cold out today, it will be warm again soon enough. Oh and we put twinkling lights on to remind us of the stars … that was a necessary follow-up. I won’t bore you with my answers regarding the tree skirt, candy canes, other ornaments, whether on not the dog likes the tree or when we’re taking it down. I’ll leave those to the imagination.